This paper presents a combination of R packages—user contributed toolkits written in a common core programming language—to facilitate the humanistic investigation of digitised, text-based corpora. Our survey of text analysis packages includes those of our own creation (cleanNLP and fasttextM) as well as packages built by other research groups (stringi, readtext, hyphenatr, quanteda, and hunspell). By operating on generic object types, these packages unite research innovations in corpus linguistics, natural language processing, machine learning, statistics, and digital humanities. We begin by extrapolating on the theoretical benefits of R as an elaborate gluing language for bringing together several areas of expertise and compare it to linguistic concordancers and other tool-based approaches to text analysis in the digital humanities. We then showcase the practical benefits of an ecosystem by illustrating how R packages have been integrated into a digital humanities project. 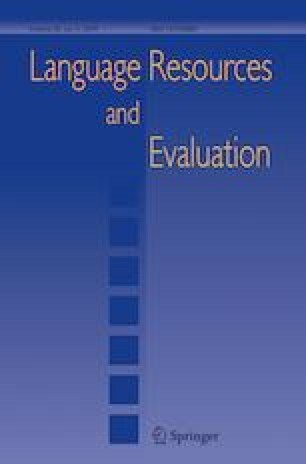 Throughout, the focus is on moving beyond the bag-of-words, lexical frequency model by incorporating linguistically-driven analyses in research. Allaire, J., Cheng, J., Xie, Y., McPherson, J., Chang, W., Allen, J., Wickham, H., Atkins, A., Hyndman, R., & Arslan, R. (2017). rmarkdown: Dynamic documents for R. R package version 1.6. https://cran.r-project.org/package=rmarkdown. Arnold, T., & Benoit, K. (2017). tif: Text interchange format. R package version 0.2. https://github.com/ropensci/tif/. Arnold, T., Lissón, P., & Ballier, N. (2017). fasttextM: Work with bilingual word embeddings. R package version 0.0.1. https://github.com/statsmaths/fasttextM/. Baglama, J., Reichel, L., & Lewis, B. W. (2017). irlba: Fast truncated singular value decomposition and principal components analysis for large dense and sparse matrices. R package version 2.2.1. https://cran.r-project.org/package=irlba. Ballier, N., & Lissón, P. (2017). R-based strategies for DH in English Linguistics: A case study. In Bockwinkel, P., Declerck, T., Kübler, S., Zinsmeister, H. (eds), Proceedings of the Workshop on Teaching NLP for Digital Humanities, CEUR Workshop Proceedings, Berlin, Germany (Vol. 1918, pp. 1–10). http://ceur-ws.org/Vol-1918/ballier.pdf. Benoit, K., & Matsuo, A. (2017). spacyr: R Wrapper to the spaCy NLP Library. R package version 0.9.0. https://cran.r-project.org/package=spacyr. Benoit, K., & Obeng, A. (2017). readtext: Import and handling for plain and formatted text files. R package version 0.50. https://cran.r-project.org/package=readtext. Benoit, K., Watanabe, K., Nulty, P., Obeng, A., Wang, H., Lauderdale, B., & Lowe, W. (2017). Quanteda: Quantitative analysis of textual data. R package version 0.99.9. https://cran.r-project.org/package=quanteda. Chang, W., Cheng, J., Allaire, J., Xie, Y., & McPherson, J. (2017). shiny: Web application framework for R. R package version 1.0.4. https://cran.r-project.org/package=shiny. Deschamps, R. (2017). Correspondence analysis for historical research with R. The Programming Historian. https://programminghistorian.org/en/lessons/correspondence-analysis-in-R.
Dewar, T. (2016). R basics with tabular data. The Programming Historian. https://programminghistorian.org/en/lessons/r-basicswith-tabular-data. Donaldson, J. (2016). tsne: T-distributed stochastic neighbor embedding for R (t-SNE). R package version 0.1-3. https://cran.r-project.org/package=tsne. Gagolewski, M. (2017). R package stringi: Character string processing facilities. https://cran.r-project.org/package=stringi. Gerdes, K. (2014). Corpus collection and analysis for the linguistic layman: The Gromoteur. http://gromoteur.ilpga.fr/. Hornik, K. (2016). openNLP: Apache OpenNLP tools interface. R package version 0.2-6. https://cran.r-project.org/package=openNLP. Hornik, K. (2017a). NLP: Natural language processing infrastructure. R package version 0.1-11. https://cran.r-project.org/package=NLP. Hornik, K. (2017b). R FAQ. https://cran.r-project.org/doc/FAQ/R-FAQ.html. Michalke, M. (2017). koRpus: An R package for text analysis. (Version 0.10-2). https://cran.rproject.org/package=koRpus. Mimno, D. (2013). mallet: A wrapper around the Java machine learning tool MALLET. R package version 1.0. https://cran.r-project.org/package=mallet. Ooms, J. (2017). hunspell: High-performance Stemmer, Tokenizer, and spell checker for R. R package version 2.6. https://cran.r-project.org/package=hunspell. Rayson, P. (2009). Wmatrix: A web-based corpus processing environment. http://ucrel.lancs.ac.uk/wmatrix/. Rudis, B., Levien, R., Engelhard, R., Halls, C., Novodvorsky, P., Németh, L., & Buitenhuis, N. (2016). hyphenatr: Tools to Hyphenate Strings Using the ’Hunspell’ Hyphenation Library. R package version 0.3.0. https://cran.r-project.org/package=hyphenatr. Scott, M. (1996). WordSmith tools, Stroud: Lexical analysis software. https://lexically.net/wordsmith/. Siddiqui, N. (2017). Data wrangling and management in R. The Programming Historian. https://programminghistorian.org/en/lessons/data_wrangling_and_management_in_R. Sievert, C., & Shirley, K. (2015). LDAtools: Tools to fit a topic model using Latent Dirichlet Allocation (LDA). R package version 0.1. https://cran.r-project.org/package=LDAtools. Sinclair, S., Rockwell, G., et al. (2016). Voyant tools. http://voyant-tools.org/. Accessed 4 Sept 2018. Underwood, T. (2017). A genealogy of distant reading. Digital Humanities Quarterly. http://digitalhumanities.org/dhq/vol/11/2/000317/000317.html. Ushey, K., McPherson, J., Cheng, J., Atkins, A., & Allaire, J. (2016). packrat: A dependency management system for projects and their R package dependencies. R package version 0.4.8-1. https://cran.r-project.org/package=packrat. Wang, X., & Grimson, E. (2008). Spatial latent Dirichlet Allocation. In: Advances in neural information processing systems 20 (pp. 1577–1584). Curran Associates, Inc. http://papers.nips.cc/paper/3278-spatial-latent-dirichlet-allocation.pdf. Wijffels, J. (2018). udpipe: Tokenization, parts of speech tagging, lemmatization and dependency parsing with the ’UDPipe’ ’NLP’ Toolkit. R package version 0.6.1. https://cran.r-project.org/package=udpipe.